Making change involves subtraction and addition. 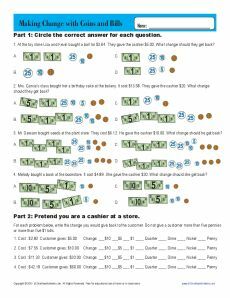 Your student will use both in this worksheet for making change with coins and bills. It's a good way to practice Common Core Standards for Measurement and Data for 2nd grade, although other students may also use it as appropriate.